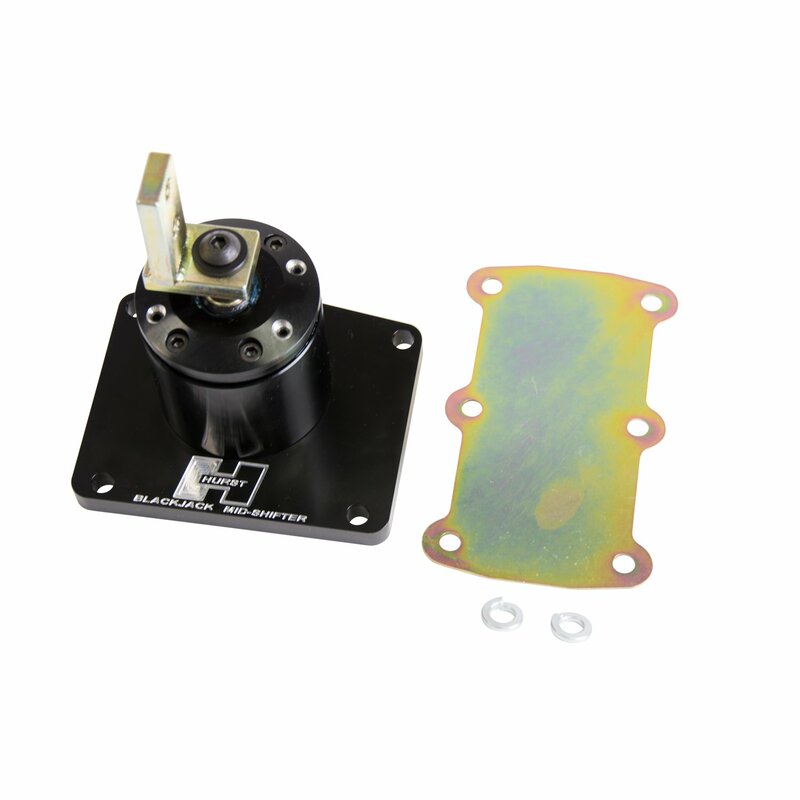 This Hurst Blackjack Mid Shifter is specifically designed to locate the shifter handle to the middle mounting location in applications when installing a Tremec TKO 5-speed transmission. Hurst Blackjack shifter housings are CNC machined from billet 6061 aluminum, feature a tough black MIL-Spec anodized finish with the Hurst logo CNC machined in the top plate, ensuring you're buying the highest quality shifter available today for your Tremec TKO transmission. Other features include zinc-plated hardened chromoly steel stick adapter, dual stick centering springs, hardened chromoly pivot pins and a durable delrin pivot ball for positive, quiet operation. Includes the classic Hurst chrome flat bar stick and white shift ball for the specified application. Covered by Hurst's Lifetime Limited Warranty.